Batters up! Let students take a sports-related “slug” at sluggishness. If you live in a part of the world where the advent of a new season brings a time change, like “springing forward” into Daylight Savings Time, you may be feeling a bit sluggish this week. How about your students? Are they dragging into class of late? Tackle tiredness and time changes with tricky school day activities that engage kids in taking sports-related “slugs” at sluggishness. Batters Up for Imaginary Baseball – Surprise kids as you start class one morning by picking up a plastic baseball bat (or other stick used in a sport that is popular in your part of the world). Hold the bat up as if you’re at home plate and swing it to hit an imaginary ball. Ask the class to guess what in the world you’re doing! Go on to tell that you’re “taking a slug” at the sluggishness you’ve noticed in yourself and others this week. Call your class a team and ask kids to “high-five” you on your commitment to “get back into the game” of staying focused and on task in class. On Your Mark, Get Set, Go! – Time an activity, like writing, and offer writing prompts that relate to sports. Create handouts ahead of time that present the writing prompts with graphic icons of different sports, like a basketball, baseball, etc. Announce that writing time for the day will take the class to a sports venue of their choosing. Show the prompts that you’ve created and explain that students get to choose sports-related story-starters. Be sure that students have adequate notebook paper and pencils at hand before you announce that the timed writing exercise is about to begin. Pencils poised with purpose, students will begin to write furiously to finish a good start before the timer buzzes. Many teachers report that students appreciate and benefit from the countdown clock. Use other sports equipment to catch kids’ attention and help them take sports-related “slugs” at sluggishness. Shoot Some Hoops – Pick up on your theme of taking sports-related “slugs” at sluggishness with a quick pickup game. 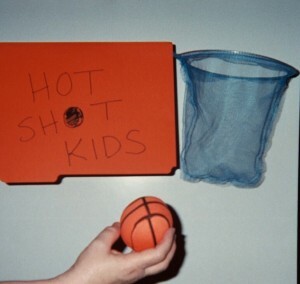 Set up a small net and play a simple math game where students who offer correct answers to problems you pose get to shoot a small soft basketball. Hot Shot Kids focus on getting good work done. If they make the shot they get to pose the next math problem. This sports-related effort to combat sluggishness is a little like the US game of round robin. The benefits include reinforcing math skills, building kids’ confidence and their ability to think and act quickly. 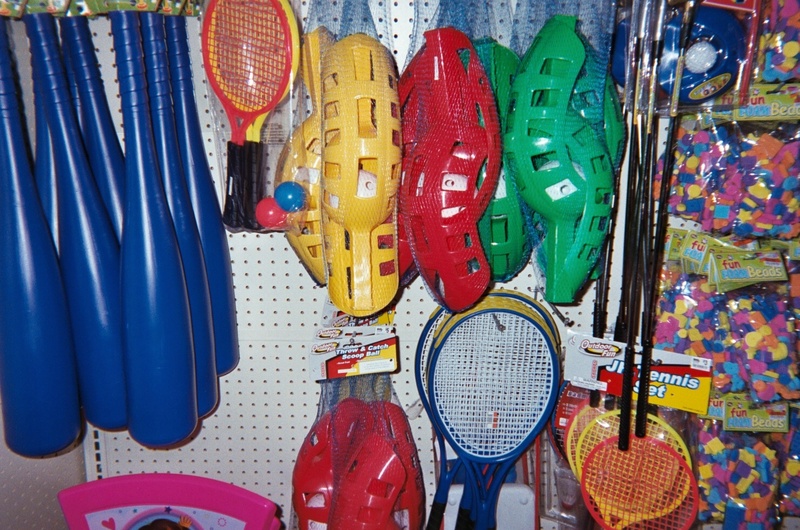 Inexpensive sets of small nets with soft basketballs like you see here are available in dollar stores and toy stores, and not just during basketball season. I recommend setting up your basketball net on an as-needed basis, not as a permanent fixture in your classroom. Otherwise the game may lose its power to catch and keep kids’ attention. Bounce a Ball – In addition to letting students shoot some hoops to increase their alertness, engage them with time for bouncing balls. Bouncing a tennis ball is a super activity to help students learn multiplication tables. Begin the activity with a ball bouncing demonstration and cheer. Ask the class to join you in repeating the cheer. Let kids take turns coming to the front of class to bounce the ball as they recite multiplication tables. Up Kids’ Energy Levels with Quick Warm Ups – Tackle sluggishness by leading your class in some quick warm-ups at the start of the school day. Help students and yourself up your energy levels with moves that don’t need much space. A warm-up can be as simple as asking the class to do five jumping jacks in place. Explain to students that warm ups, like jumping jacks, pump oxygen to their brains…a key to taking a “slug” at sluggishness. Play on the popularity of sports with children by using sports-related activities in settings, like your classroom, where students don’t expect to find them. You and your class will be winners beyond the field or gym. 2 Pings/Trackbacks for "Batters Up! Let Students Take Sports-Related “Slugs” at Sluggishness"